Founded in 2009, CaseCrown offers high-quality, stylish electronic accessories for your smartphone, tablet, laptop, and eReader. Cases are available for Apple devices, including iPhones, iPads, and MacBooks. You can also find cases for Samsung Galaxy devices like Galaxy tablets, Nexus, and Galaxy Note devices. Browse cases for your Kindle Fire, Kindle Touch, and Kindle Paperwhite if eReaders are your thing. Shop the CaseCrown site by searching items under the “Shop” tab on the homepage. Find items by searching by your device or by product. You can view most new product releases directly on their website. Follow the CaseCrown Facebook page to read customer reviews as well as find exclusive coupons that we might not have live. We typically have a coupon code on this page to get 10% off your order. Add items to your online shopping cart and apply the promo code before you checkout to save. Brighten up your device and save with these CaseCrown coupons that give you incredible deals on a new case for your smartphone, tablet, or laptop. 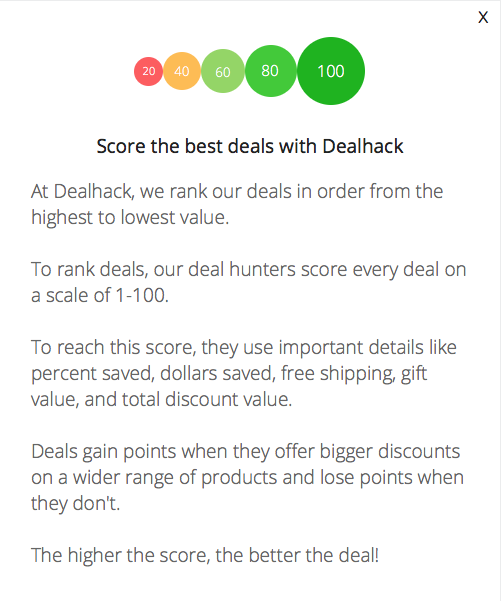 Our team here at Dealhack wants you to save, so we work hard month in and month out to bring you the best CaseCrown coupons. Save on unique designs like classic docs, deco blocks, gliders, snap-on products, and more. Find colorful carriers like tablet messengers, convertible backpack totes, cross-body messenger bags, and water-repellent laptop bags. CaseCrown offers various designs and themes on all accessories. If you want to contact the CaseCrown customer service team, send them a message on their contact page or email to [email protected]. Plus, be sure to stay connected by following CaseCrown on Facebook, Twitter, Instagram, and Pinterest. You’ll be able to view all of their new products by following their social media accounts. CaseCrown also carries products in addition to cases such as messenger bags, laptop sleeves, and stands. CaseCrown offers a 1-year product warranty. Be sure to keep a proof of payment should you need to return any defective items. Watch product reviews on the CaseCrown YouTube channel to learn more about cases and stands from CaseCrown experts. For more information about CaseCrown, visit the FAQ page. What is Today's Best CaseCrown Coupon? Currently, the best CaseCrown coupon is 'Free Shipping Sitewide'. There is no code required to claim this offer. CaseCrown offers free shipping for all orders within the United States. Shipping charges for International destinations varies by weight and selected method of shipping. All items can be returned or exchanged within 30 days of purchase. If you are not satisfied with your order, contact [email protected] with a proof of purchase to get a return label.